Digital citizenship is a concept that helps one understand what their responsibility is, regarding technology use and how to appropriately use technology. Digital Citizenship - Who Will You Be? What digital footprint do you want to leave? After watching the video above, hopefully you have seen that how you interact and use technology is leaving a footprint for other people. You have to be careful with everything that you decide to put on the internet. Who will you be? 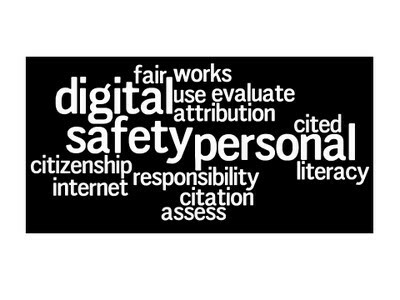 The Word Cloud's above about Digital Citizenship, show us exactly what we need to watch out for when we are using technology, especially the internet. 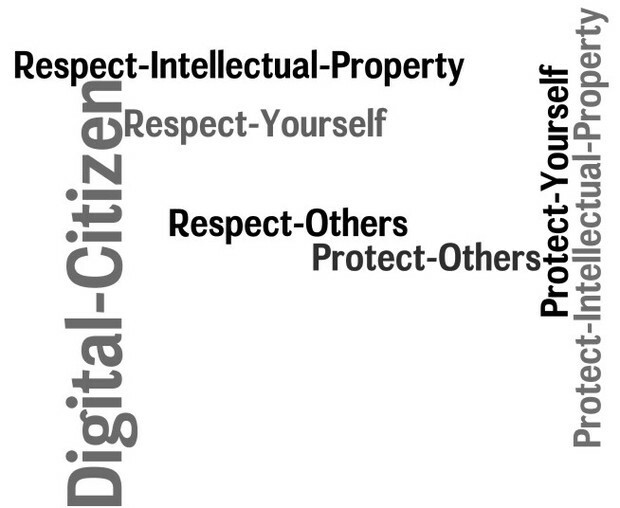 There are nine different elements that work together to for a digital citizenship. They are displayed here in the picture below. Here are some additional websites you may visit in order to gather more information about each element. The biggest thing that a parent can do to assist their child in forming a good digital citizenship is to inform them about what can happen if they aren't careful. The internet is an amazing creation but if you aren't careful, you can get caught in a bad situation. The internet is for helping other people and creating. It isn't made for bringing people down or harming other people. What kind of footprint will you leave?